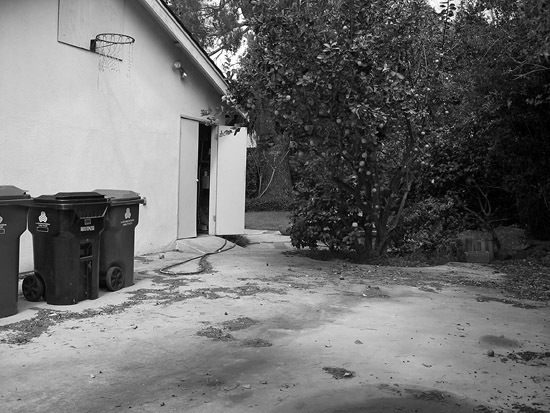 Here is what the area looked like prior to the remodel: The cracked concrete driveway next to the garage was being used as a place to stash a disabled trailer and some trash containers. Click on the photo for a full size view. 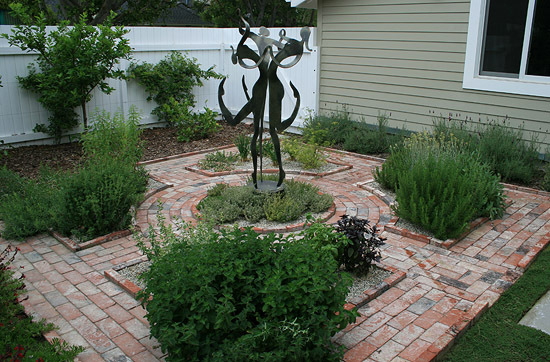 Now the area contains a formal herb garden made of gravel bisected by brick pathways. The space is enclosed on three sides by citrus trees, lavender and autumn sage.